Me and my boyfriend are obsessed with Netflix. In our opinion, Netflix is the greatest invention ever, seriously! We watch both tv-shows and movies, but definitely more tv-shows than movies. It’s so easy to watch a tv-show, you can just watch an episode whenever, f.ex. when you eat dinner or on a random weekday night. A movie requires more of a commitment, you have to really decide to sit down and watch to be able to watch a whole movie. And you also need more time to watch a whole movie than just an episode of a tv-show (as long as it’s not a tv-show with hour-long episoded that will say). ANYWAY where was I..? Right, I’m writing a blogpost on ‘Best shows on Netflix’ (right now, writing a post on the all-time best shows on Netflix would take forever since it’d be such a long list). So here they go, in no particular order… These are some of the best shows on Netflix, right now. And we’ve of course watched all of them. If YOU haven’t yet watched these – just do it! You won’t regret it. 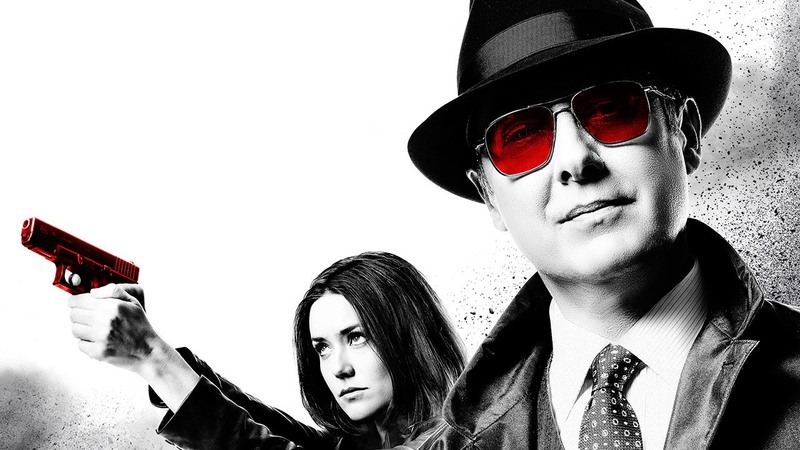 We started watching The Blacklist only yesterday, and we’re already SO hooked. My boyfriend got the recommendation to watch this, otherwise we would’ve probably never found it. It’s exciting and entertaining. It’s a FBI kind of tv-show, let’s just say that. So if you like that genre, you’ll love this show! This show took us by surprise! We had heard nothing about it, but saw it on Netflix and thought it looked fun – so we decided to randomly watch the pilot. Man, this show was nothing like what we’d imagined! It’s smart, it’s funny, it’s exciting and so entertaining. It’s about struggling moms that somehow get caught up in some criminal business! It’s so good, I can’t recommend this show enough. There’s only one season of it, but we hope there will be a second one soon! I have no words for this documentary. It’s so interesting and so terrible to watch. I definitely don’t think that Brendan and Steven are guilty… Watch the documentary yourself to form your own opinion, just do it! It feels like we’ve been watching Arrested Development for years, and we almost have. It’s not a show you binge watch. Sure, it can be exciting – but it’s not like YOU HAVE TO WATCH THE NEXT EPISODE. You can watch one in September, and then watch the next one in December, no problem. But it’s sooo funny! It’s got such a dumb humour that’s it’s funny – if you know what I mean? I love it. My favorite is Buster, the actor who plays him is incredible. Lucille is pretty funny too, lol! But my favorite thing with this show is probably that Jason Bateman plays the lead (Michael Bluth), I’ve had a crush on him ever since I watched him in ‘Little House on the Prairie’ when I was little. Ah, he’s still such a cutie! What shows are you currently watching on Netflix?